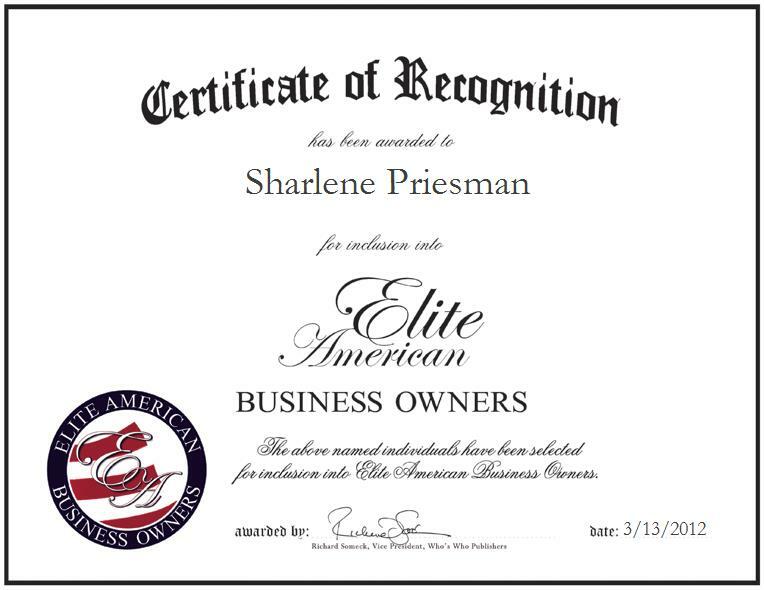 Sharlene Priesman is the owner of Sharlene’s Fun 2 Sew, a specialty sewing and embroidery business located in Newport News, Virginia. At the helm of the company, Ms. Priesman is responsible for maintaining correspondence with her customers, taking their orders, and sewing and embroidering unique and beautiful projects. She sews and knits distinctive garments, and handles advertising initiatives for her company. Ms. Priesman has been sewing her entire life and always wanted to start a business doing it, so when she got married her husband encouraged her to establish her own company. She is a member of the American Sewing Guild, and she feels that her success stems from the fact that she loves what she does, and takes pleasure in providing a quality service for people.